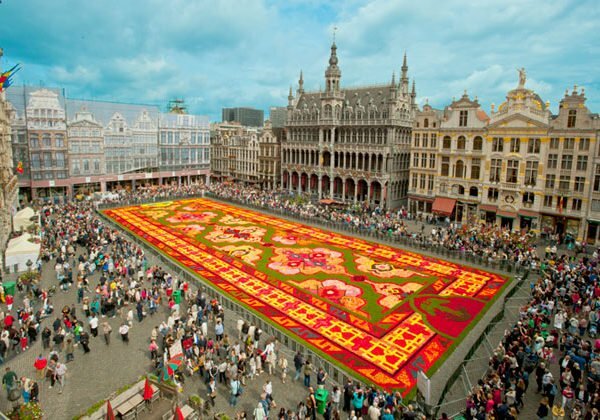 Every two years, the Grand Place – the central square in Brussels, Belgium – is covered by a spectacular carpet, created using begonia flowers. Thousands of visitors come to see the carpet, and to enjoy the fireworks and sound and light show that accompany its unveiling. 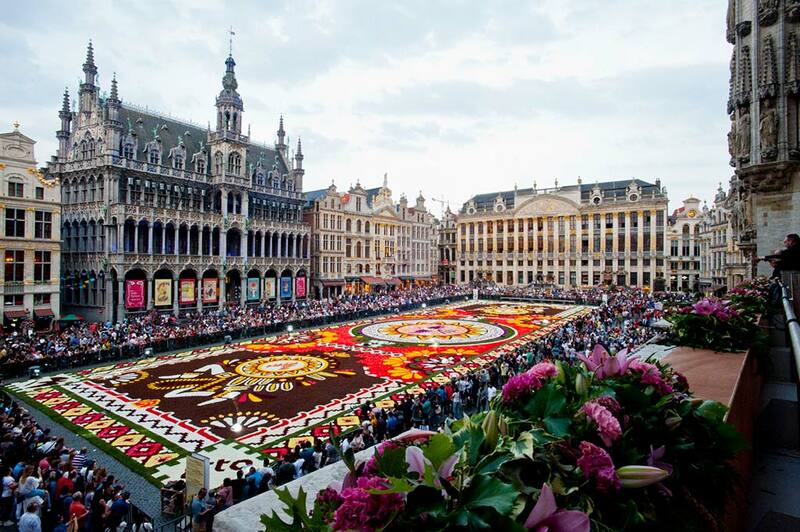 This year’s celebrations were given special importance, marking exactly twenty years since the Grand Place was recognised as a Unesco World Heritage site. 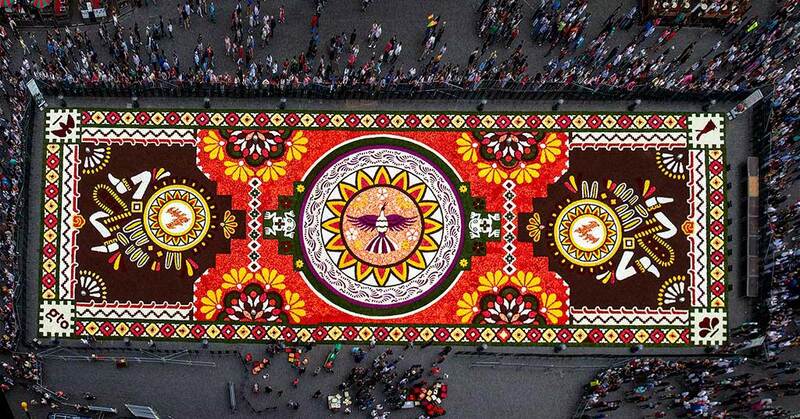 The theme chosen for the 2018 flower carpet, with its rich South American colours and motifs, was “Guanajuato, cultural pride of Mexico”. 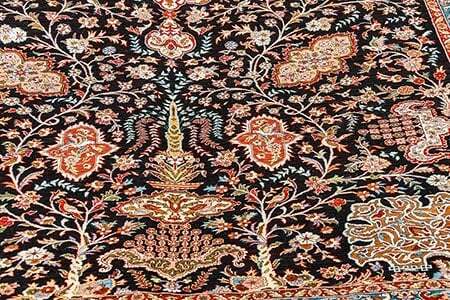 Previous flower carpets have featured designs showcasing the artistic and cultural heritages of people in other parts of the world, with themes ranging from Turkish to African. The 2016 carpet had an elegant Japanese theme. 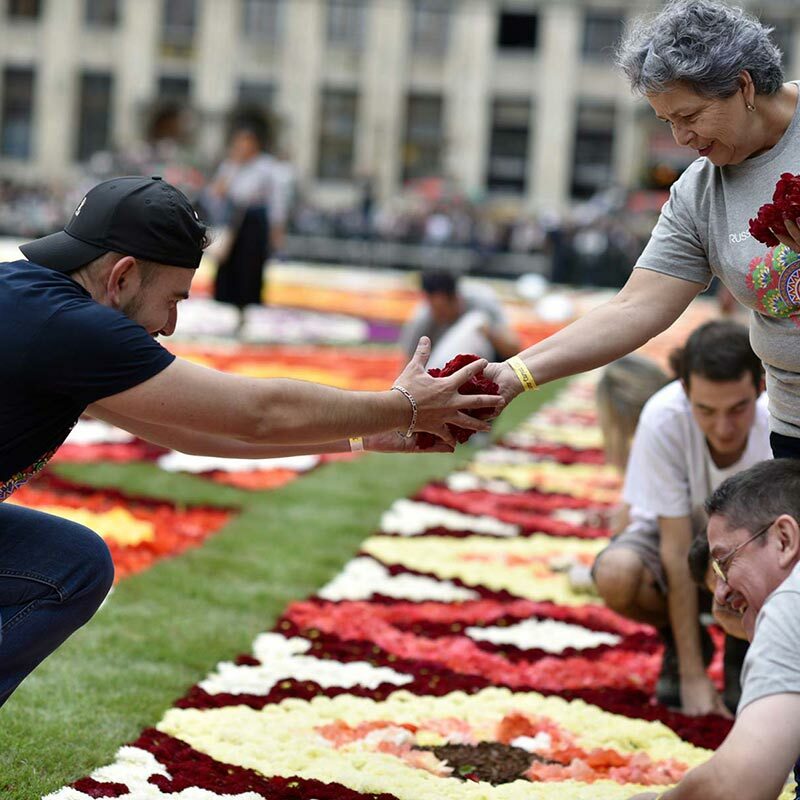 Spanning 1800 square metres and measuring 75 by 24 metres, the 2018 flower carpet included over half a million begonias, along with dahlias, grass and bark. 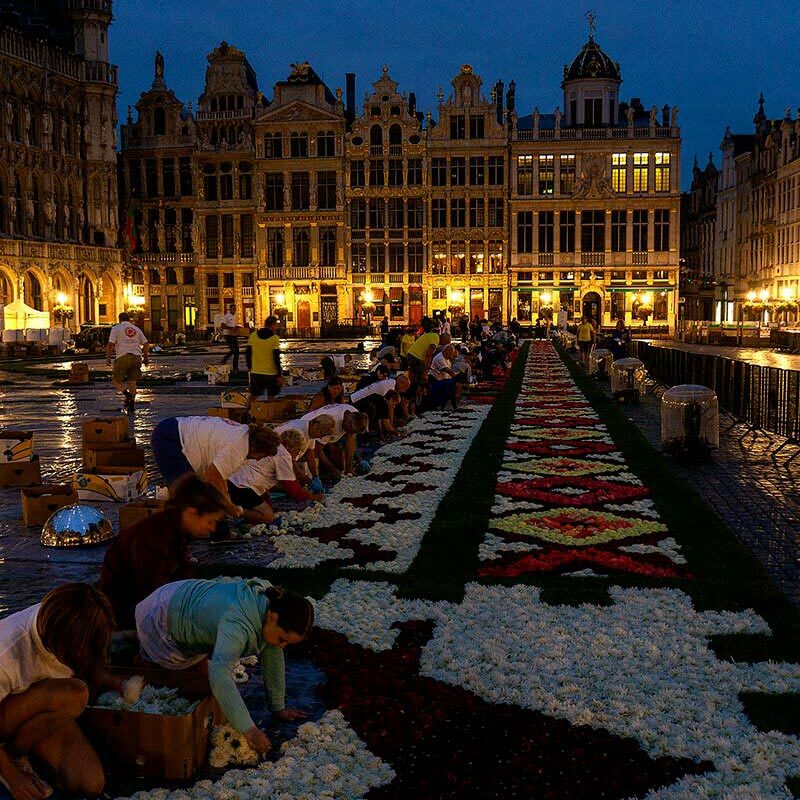 The flowers, which are grown in the Ghent region of Belgium, were ordered months in advance and specially cultivated in the required colours and quantities. 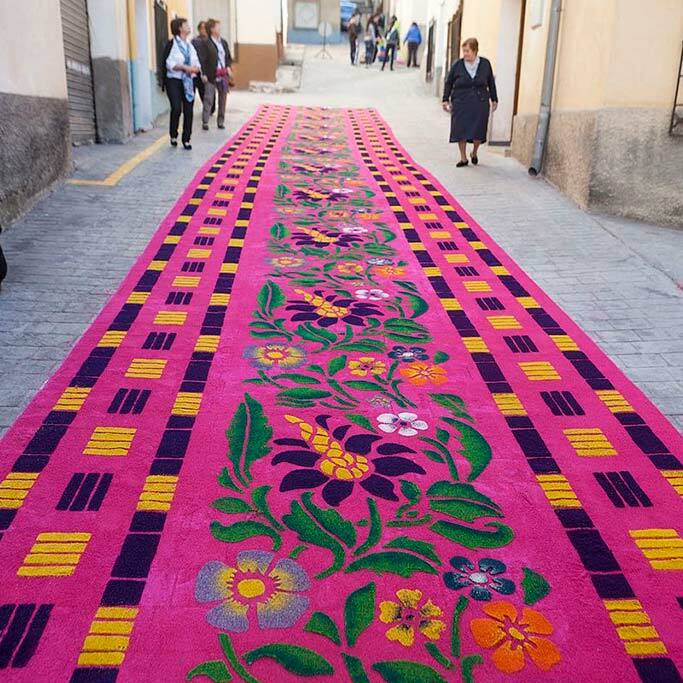 The 2018 flower carpet was designed as a collaborative effort by Belgian graphic designer, Mark Schautteet, and Mexican designer, Ana Rosa Aguilar Aguado, who comes from the town of Uriangato, Guanajuato. 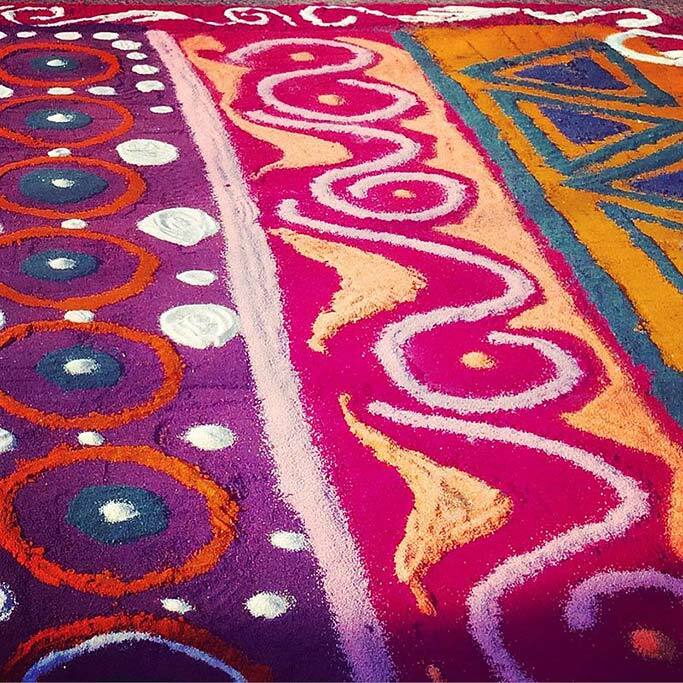 Uriangato itself has a history of creating massive street carpets, although from coloured sawdust rather than flowers. 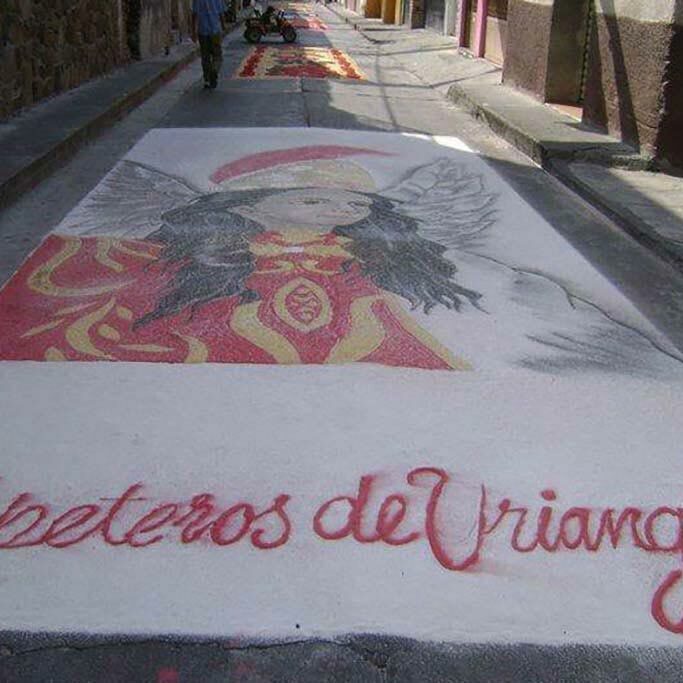 Each year, these sawdust carpets, many with religious themes, are created to help celebrate the town’s La Octava Noche Festival. 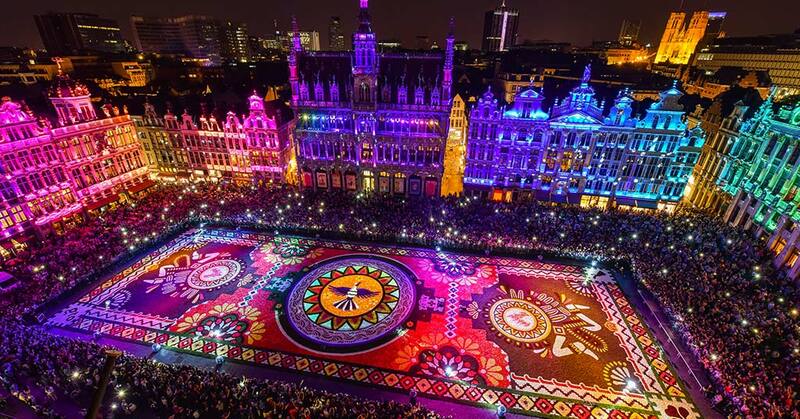 The 2018 carpet design was printed to scale on a micro-perforated plastic sheet large enough to cover the central area of the Grand Place. This was placed on a thin layer of sand, on the cobblestones of the square. 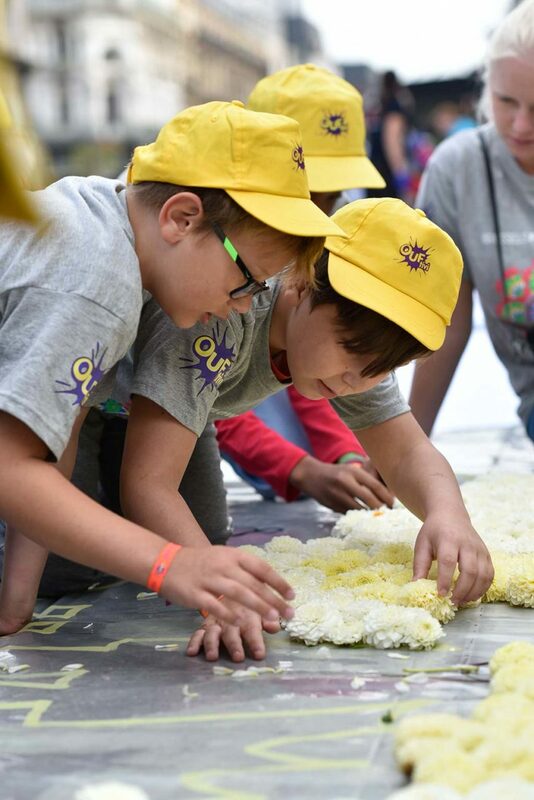 Upwards of a hundred volunteers of all ages then worked together, carefully placing the flowers to colour in the giant image. Working late into the evening, the volunteers completed the job of arranging the flowers in just one day. 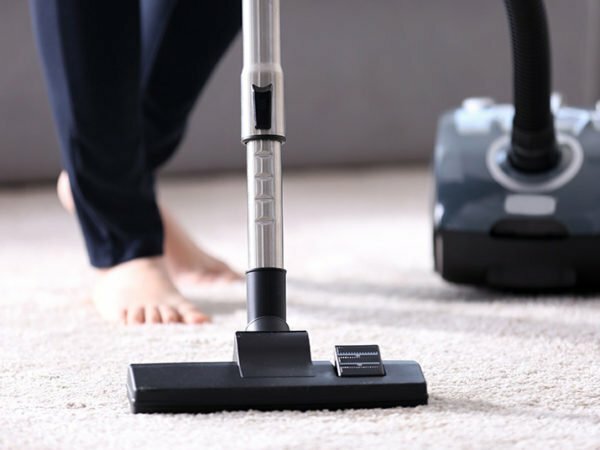 After all the hard work, the carpet remained on show for just four days, before being dismantled. 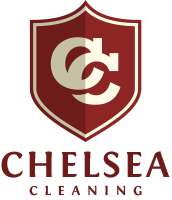 Already, planning of the next carpet, due to be unveiled in 2020, has begun! 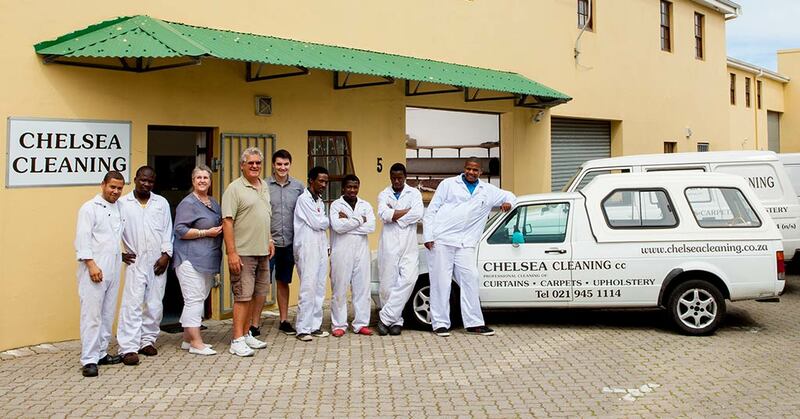 Contact us now for a quote for our cleaning services.